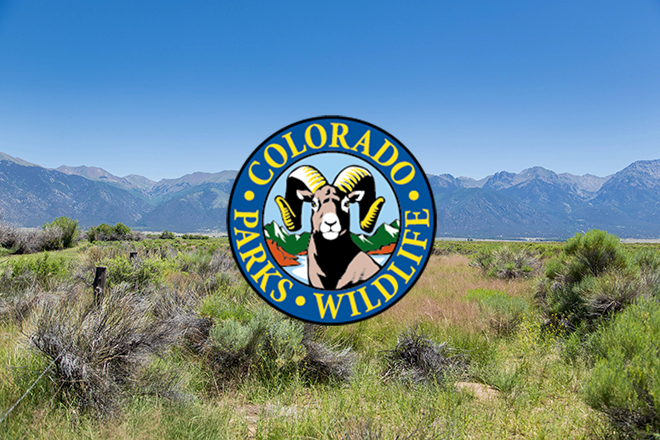 Colorado Parks and Wildlife is seeking public input on a Supplemental Park Management Plan for the state-owned lands managed by Lake Pueblo State Park. The lands that are part of the planning include the CPW-owned portions of the Honor Farm, a parcel owned by the State Land Board and the Chain of Lakes along the Arkansas River. It does not include the bulk of the park property that is owned by the Bureau of Reclamation. Park staff will kick-off an 8-day public comment period on Tuesday, September 13, with an open house. The open house will be held at the Lake Pueblo State Park Visitor Center in Pueblo, Colo., from 4:30-7:30 p.m. Planning diagrams, draft documents and park staff will be available at the gathering. Public comments must be provided in writing and will be accepted at the open house and throughout the 8-day public comment period. Comments are due to Lake Pueblo State Park by close-of-business, Sept. 20. Written comments can be dropped off at the park Visitor Center during business hours as well as be provided by e-mail, fax, or regular mail. E-mail and faxes should be addressed to the attention of "Park Planning" at lake.pueblo.park@state.co.us. The fax number is: 719-564-9455. Regular mail should be sent to the attention "Park Planning," 640 Pueblo Reservoir Road, Pueblo, CO 81005. Currently, the Bureau of Reclamation is preparing the Lake Pueblo Resource Management Plan that covers all the federally owned property that make up most of Lake Pueblo State Park and all of the Lake Pueblo State Wildlife Area. The agency is also preparing an Environmental Assessment in compliance with the National Environmental Policy Act. These federal properties are not part of this public input process and comments will not be accepted for those areas. The Bureau will conduct a separate public process for their plan at a later date. To learn more about the Supplemental Park Management Plan and the areas it impacts, visit the parks website at http://www.parks.state.co.us/parks/lakepueblo/Pages/LakePuebloStatePark.aspx.